Are you missing your love? Looking for the perfect love picture to express your agony of missing your love. Here it is. 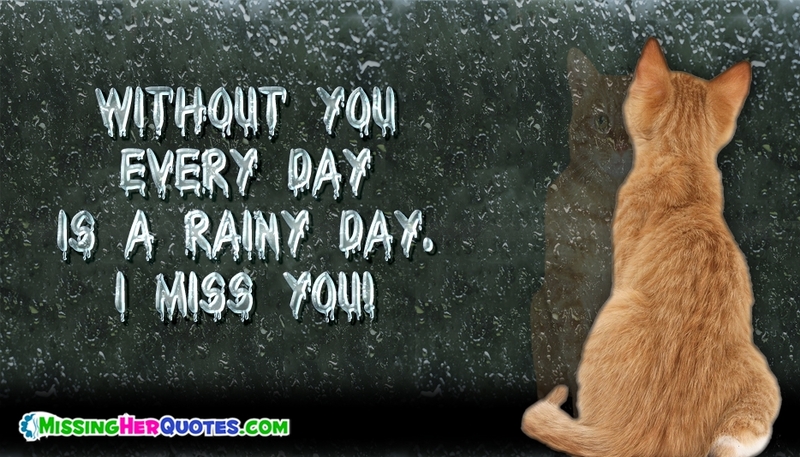 The picture portrays the sad love quote "Without You Every Day is a Rainy Day. I MISS YOU!" with the art of a lonely cat. Share this picture with your love and express how lonely you are.